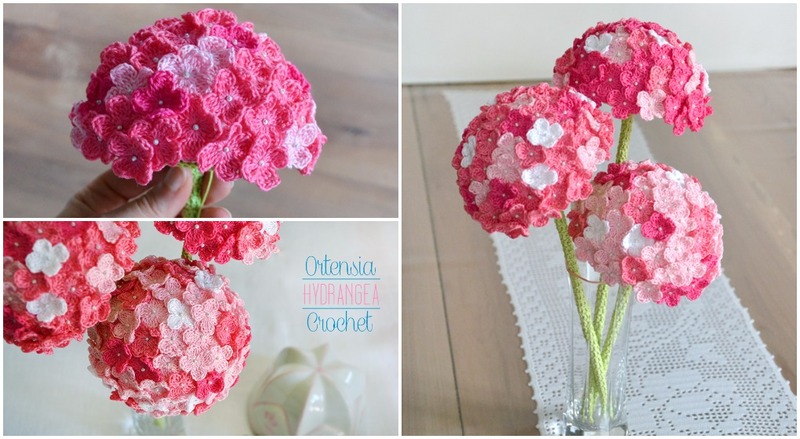 In this tutorial we are going to teach how to crochet beautiful hydrangea flower. The name Hydrangea contains many species and all have inflorescence with a special shape, color and texture. Author has designed and crocheted these hydrangea crochet flowers for the Italian magazine Mani di Fata for July 2014 issue. These flowers are extremely beautiful and you have to start crochet today and get a big pleasure. Ch 5, join with a slip stitch to make a ring. *Ch 3, 2 tr in ring, ch 3, sc in ring* repeat from * three times. Fasten off. Please SHARE with your friend and family, Enjoy with us.